January is over, and with the end of the first month comes the end of many New Year’s resolutions too (hey, no judgement here!). Nevertheless, for those still trying to stay healthy and eating right this winter, Paramount Events is excited to share one of our favorite dishes that tastes like dessert but will power you through the day. Acai is a small berry from South America that has incredible nutrients including antioxidants, fiber, omega-3, and tons of vitamins. What’s our favorite way to eat this superfood? Blended into a smoothie, served in a bowl, and topped with granola and more fresh fruit. 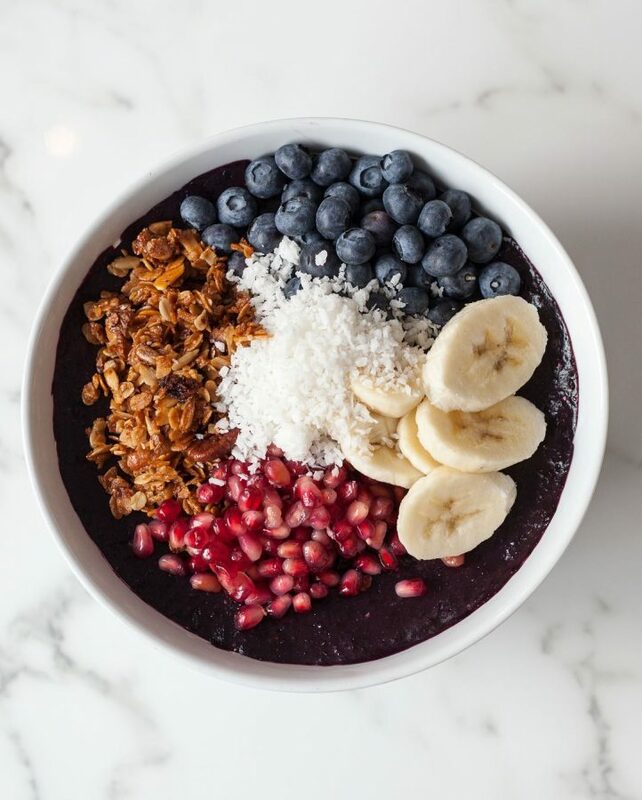 We love this dish so much, we recommend an acai bowl bar at your next event or drop off order from Paramount. Simply give us a call and we’ll set up a station for you to mix and match tropical fruit bowls right here in the Chicago winter. This idea is perfect for a light snack at an indoor event or a full drop off meal for your company to be energized throughout the day.